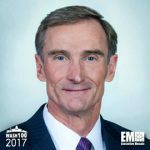 Executive Mosaic is glad to announce Leidos Holdings CEO Roger Krone as an inductee into the 2017 Wash100 — Executive Mosaic’s annual selection of the government contracting arena’s most influential voices. 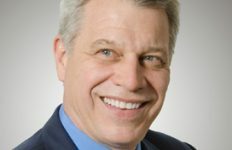 The four-time Wash100 inductee has led the Reston, Va.-based government services contractor as chief executive since July 2014 after a nearly four-decade aerospace industry career that included eight years as president of Boeing‘s network and space systems business before his appointment to Leidos. 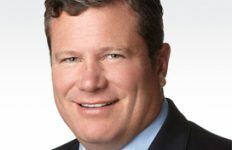 In August 2016, Leidos completed its highly-anticipated merger with the former Lockheed Martin information systems and global solutions segment to both double in size and complete one of the GovCon sector’s largest-ever combinations since the defense industrial base’s period of consolidation in the 1990s. 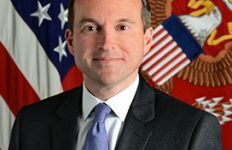 Through that deal, Leidos saw its annual projected revenue increase from $5 billion to nearly $10 billion to become the largest pure-play government services contractor and 15,000 new employees join the company from Lockheed to create an almost 33,000-strong workforce. Upon the transaction’s closure, Krone told CNBC’s “Squawk Box” program Aug. 16 Leidos views itself as a “people company” with its employees as the core asset to deliveries of goods and services for government agencies. “We use information to solve really complex customer problems and that’s a set of software, applications and really smart people who can think through problems and create solutions,” Krone said in that interview. 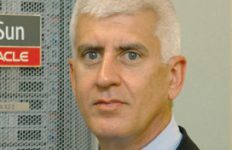 Leidos set a post-target of $350 million in cost synergies through 2019 and has hit its 2016 goal of $25 million in savings, which Krone attributed in part to the establishment of an integration management office with leaders from both Leidos and Lockheed. “We were able to put some fairly detailed plans in place so that the day after closing, we were able to hit the ground running and that’s really given us a fast start starting on August 17 to achieve our integration objectives,” Krone told investors in November.